Defeated Georgia Democratic gubernatorial candidate Stacey Abrams revealed on Monday that she has her eyes set on advancing her political career and she’s considering a number of options. After losing in November to Republican Gov.-elect Brian Kemp, Abrams has been mulling over a second run for the position when his term expires in 2022, according to Politico. However, she is also considering running for Georgia’s U.S. Senate seat when Republican Sen. David Perdue is up for re-election in 2020. Abrams, who has refused to refer to Kemp as the “legitimate” governor-elect after his win in November, has accused Republicans of racist voter suppression. A spokeswoman for Abrams’ campaign released a statement in October claiming that Kemp is “maliciously wielding the power of his office to suppress the vote for political gain and silence the voices of thousands of eligible voters — the majority of them people of color.” Following Abrams’ loss, she has appeared regularly on cable news shows repeating those assertions. 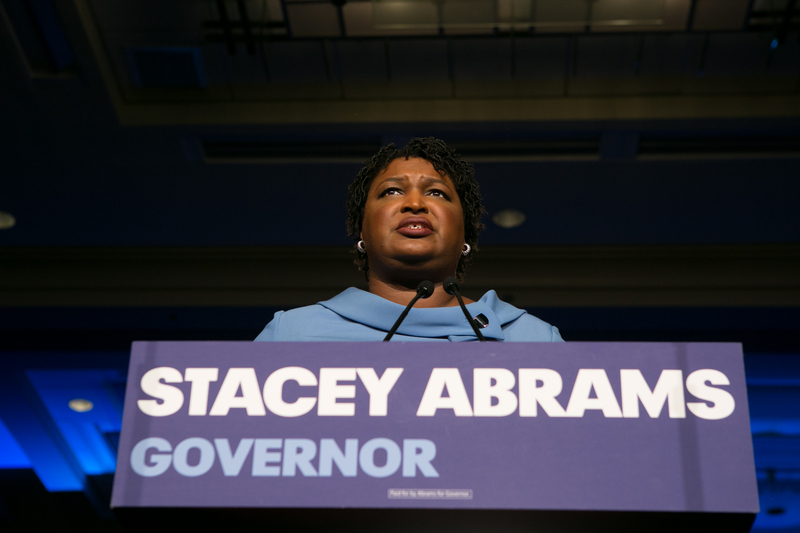 Following the election, Abrams and her voter initiative, Fair Fight Action, sued the state of Georgia over alleging widespread voter suppression. Interestingly, the lawsuit condemns legislation that Abrams herself helped pass as a member of the Georgia General Assembly. The lawsuit is still pending before a federal court.